The Lord’s face has indeed shone upon us, for this is what Christmas is all about. In Jesus we see the face of God. And like Mary his mother, we take the time to treasure this saving event, and ponder its meaning for us. There is one resolution that all of us should consider this New Year: Take more time to PONDER the face of God! 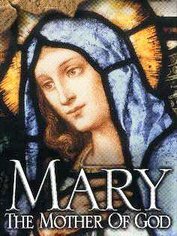 Like Mary, we are called to participate in God’s saving ways – each an every one of us has a part to play. Will we ask the Lord to show us the way, trusting and hoping in the Prince of Peace, Jesus, Our Good Shepherd. Time often deadens our Pain, and even solves our problems, but not always effectively. Waitng upon the Lord, means to ponder and pray for insight, and God’s will for us. If we wait in bitterness, anger, unforgivenss, and not open out hearts to God’s grace – pondering in trust -then our problems often compound and poison our life, and the lives of others. Pope Benedict offers us his ponders this New Year. Speaking to all peoples and nations, he calls everyone to look into their hearts and to discover God’s way of peace. Peace, he says, is like a special fruit that we harvest when we live according to God’s order and plan for us. It is a heavenly gift from our creator that corresponds to an irrepressible yearning and hope dwelling within all of us. Not letting anyone off the hook of responsibility for peace, he states that it is of the highest reponsibility for all to discern and conform in truth, justice, freedom and love to the the divine order implanted in the human heart by God at creation. And pondering the crib and the face of Jesus, he reminds us that Jesus is the embodiment of peace – the one who offers the full truth about humanity and about human history. Jesus is the truth which gives us peace. And, by the power of his grace makes it possible to live “in” and “by” the truth. Reflecting and pondering on the world situation, Benedict states: “Whenever there is a loss of fidelity to the transcendent order, and a loss of respect for the universal moral law written on human hearts, whenever the integral development of the person and the protection of his fundamental rights are hindered or denied, whenever countless people are forced to endure intolerable injustices and inequalities, how can we hope that the good of peace will be realized? The essential elements which make the truth of that good are missing. IS THE REAL SPIRIT OF CHRISTMAS! Let us promise the Lord that we will take the time to ponder this New Year.